First-Time Visitors – The C-Wing is to your right when you come in through the front door. Visit the Information Center in the front lobby to get help finding us! We encourage our elementary students to worship with their families during our Worship Services. Each Sunday, you’ll find children’s Bibles, a bulletin, a weekly sermon quiz, and crayons for children in the Worship Center. During our Worship Services, children in Kindergarten through 2nd grade can join us for a special elementary message. During the Passing of the Peace, your child will be directed to leave the Worship Center with our C3 Kids staff (look for the SMALL SAINTS slide on the big screens), and they will return after the sermon, before Communion. Be sure to check-in at the kiosk outside of the Worship Center before the service if your child plans to join us for the elementary message. For children in Kindergarten through 3rd grade, we focus on a single passage of Scripture for the entire month. Each week, the children explore the passage in one of four workshops: Cook It, Make It, Act It, and Discover It. 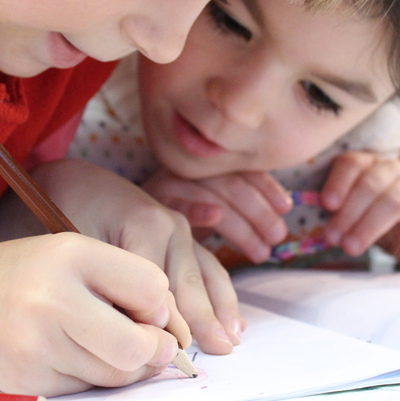 Using cooking, art, film, drama, science, and games, all of a child’s senses are engaged and the passage is explored using a variety of learning styles. It’s so much fun – the children don’t want to miss a single Sunday! Using the Children’s Catechism as a guide, students in the 4th grade explore deep theological questions about God, themselves, and the Church in a fun and accessible way through games, activities, and discussion. In the final year before middle school, students in the 5th grade focus on topics necessary for navigating their pre-teen years: their relationship with God (Sonship for Kids), their relationship with others (Peacemakers for Kids), the practical expression of their faith (Truthworks), and the starting place for discerning truth (Worldview). Relationship building among the members of the class is also a primary focus of this year. 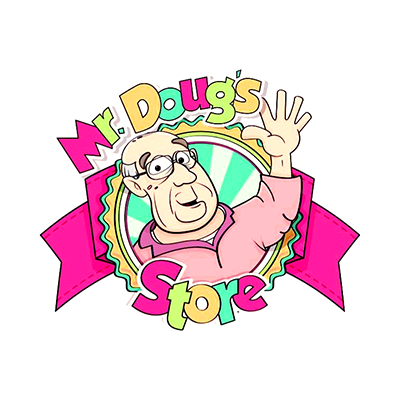 Mr. Doug’s store is an exciting opportunity for elementary students in grades K through 5 to earn tickets and redeem them for prizes and fun while they learn about God, develop a deeper understanding of who God is, and dig deeper into his word. 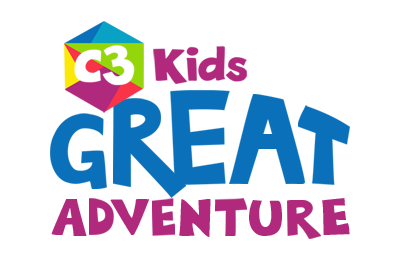 In the Spring and Fall, during the Adult Wednesday Night Bible Study, C3 Kids offers Great Adventure – our special evening programming for elementary students in Kindergarten through 5th grade. Great Adventure meets in the C-Wing beginning at 6:30 pm. *Great Adventure is for children of parents attending the Wednesday evening Bible studies, running from September through April (minus holiday breaks and special occasions). Any Wednesday evening that adult studies are offered, Great Adventure will be offered as well. Check our events calendar to see dates when we do not have Wednesday evening programs.